Seldom has the term ' A Legend in his own Lifetime' been more accurately applied than to Michael Oliver. Here that lifetime is recalled in interviews with the people who knew him best, his friends and family. 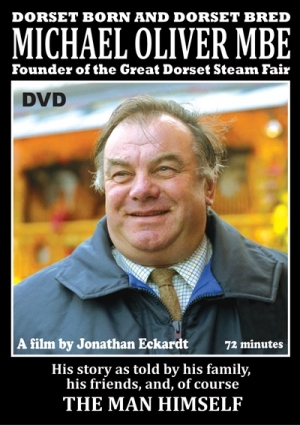 They tell the story not just of the man who from nothing created the greatest steam fair in the World, but of the family man as well. Photographs kindly made available by the Oliver family and friends together with the archive of video and photographic material produced and collected over more than 40 years by Helmut and Jonathan Eckardt, help illustrate the Life and times of Michael Oliver MBE with, of course many appearances by, and words from the man himself.